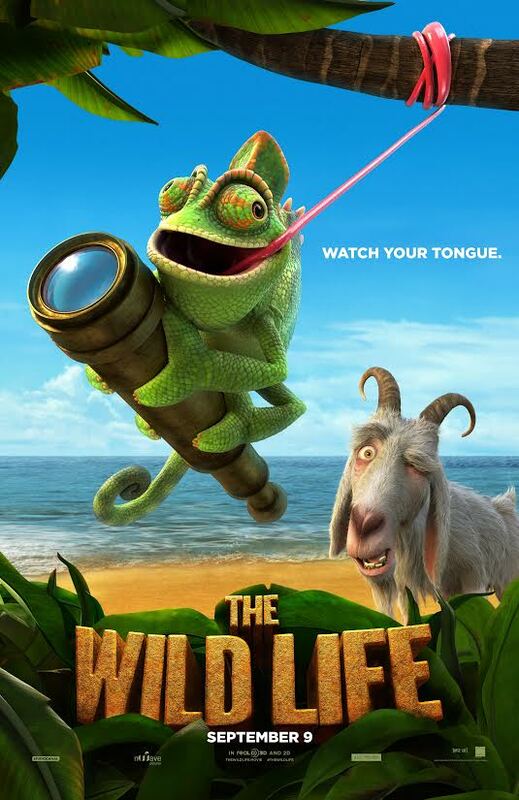 Keep an eye out for The Wild Life movie coming soon! The Wild Life is a fun family movie coming to theaters this September. So don't forget to mark it down on your calendar and make it a great family event! 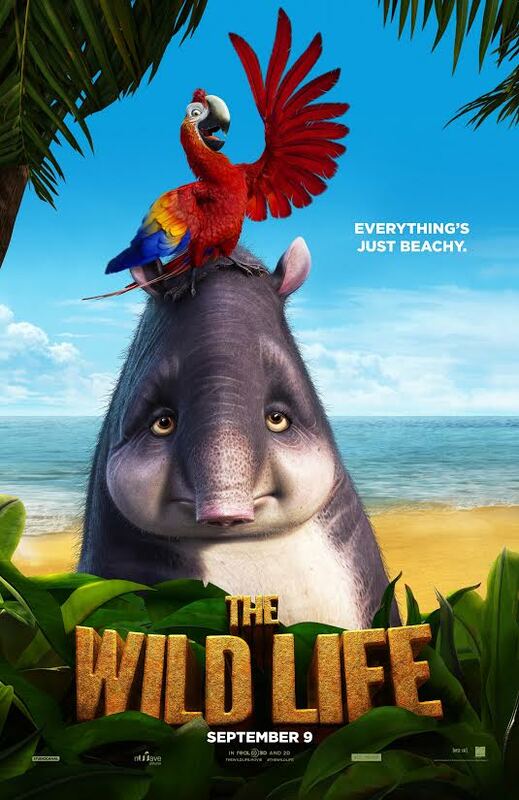 Desde el papagayo Mak y su excesiva exuberancia hasta el tapir Rosie que está obsesionado con los bocadillos, desde el quisquilloso equidna Epi hasta el acrobático pangolín Pango, y desde la despistada cabra Scrubby hasta el sensato martín pescador Kiki y el siempre fabuloso camaleón Carmello, la vida es sensacional en una isla tropical que es un verdadero paraíso animal salvaje. Entonces, en medio de una furiosa tormenta, llega un náufrago humano llamado Robinson Crusoe, y las vidas de los animales cambian para siempre debido a esta nueva y desconcertante "criatura". Dejando a un lado sus diferencias, el náufrago humano y los peculiares animales emprenden una divertidísima nueva aventura al construir la primera casa en un árbol de la isla y aprender a sobrevivir juntos. Pero cuando dos confabuladores miembros del reino animal —los salvajes felinos Mal y May— se lanzan a una batalla por el control de la isla, Crusoe y su pandilla animal deberán descubrir el verdadero poder de la amistad contra viento y marea (que incluye a los felinos salvajes). From the over-exuberant parrot Mak to the snack-obsessed tapir Rosie, from the persnickety echidna Epi to the acrobatic pangolin Pango, from the ditzy goat Scrubby to the commonsensical kingfisher Kiki and the always-cool chameleon Carmello, things are larger-than-life on a tropical isle that is pure wild animal paradise. 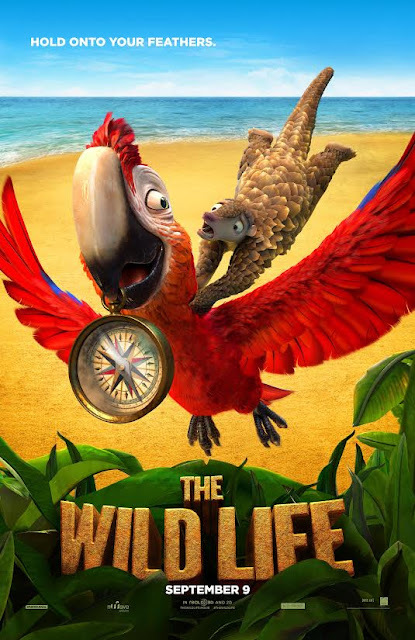 Then Robinson Crusoe, a marooned human, arrives in the midst of a furious storm, and their lives are forever changed by this bewildering new “creature.” No matter their differences, castaway human and quirky animals embark on an hilarious new adventure, building the island’s first tree-house and surviving together. But when two conniving members of the animal kingdom — the savage cats Mal & May – pounce into a battle for control of the island, Crusoe and his animal posse must uncover the true power of friendship against all odds (even savage cats). We really can't wait to see this movie. It looks like a ton of fun and laughter for kids of all ages, and the whole family. Who will you watch this movie with? And smile, because it's contagious! Hola! I am the Founder of Just Happiling™. I am very proud Hispanic, born and raised Mexican, currently living in San Diego, CA. I am an optimistic visionary with a goofy inner child, who believes happiness can be contagious if we just allow it to be so. I love art, attempting to make other people laugh, and exploring the beauty within our daily lives. My passion is to inspire people to be happy, and to encourage them to live just happiling ever after. The rest of the time I am a loving wife, stubborn daughter, easy going sister, photographer wanna-be, enthusiastic product reviewer, an illustrator, amateur musician, smile creator, odd philosopher, creative brain-stormer, tree hugger, and animal lover.